About four years ago, we made a dramatic course correction that’s been the single largest driver of improvement we’ve ever made. A dedicated novice onboarding program. I’m not talking about a two week foundations course. I am talking about a developmental multi-month program that runs parallel to the rest of training. 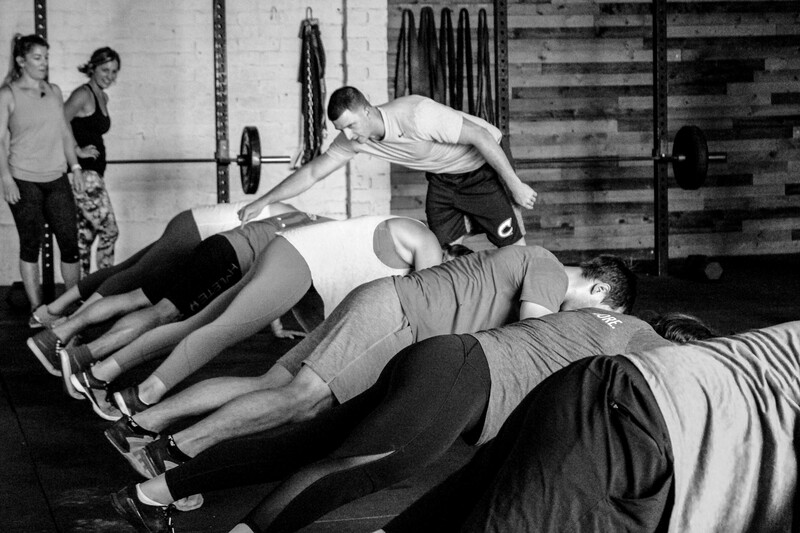 It sets the tone for how your training experience will go here, and it signals that we take what goes on the board seriously. It lets each person know that when they enter, they are in good hands at least in the sense that we put thought into what we ask you to perform. While the majority of folks hop on board and understand the need for a developmental phase, there are still some who see it as the kid’s table. A timeout in the corner of sorts, and something that they can’t get out of fast enough. That’s where we have an educational opportunity as a staff. The need for a preparatory phase is not only important, I would go so far to say it’s critical to your long term success for the following reasons. I am going to try and keep this very surface level, as it’s very easy to lose people with technical information here. At the risk of sounding incredibly cliched, I am going to use the oldest analogy in the book. The foundation of a building. Think of everything on the inside of your body as the foundation for a skyscraper built in an Earthquake zone. The muscles, the tendons and ligaments, even the bone. There is the scene in one of the Ocean’s 11 movies, I forget which. Brad Pitt is in disguise as a civil engineer who tells Al Pacino that his casino is not built to sustain an earthquake. Pacino ignores the advice, and sure enough, when they trigger the fake earthquake, the building shakes, rumbles, and nearly crumbles to the Vegas floor. If you ignore or breeze through an introductory phase that focuses on anatomical adaptation, you are Al Pacino building on a faulty foundation. Don’t do that. Specifically, here is what we achieve with this phase. 1. Tendons and Ligaments – Muscle adapts faster than your connective tissue. 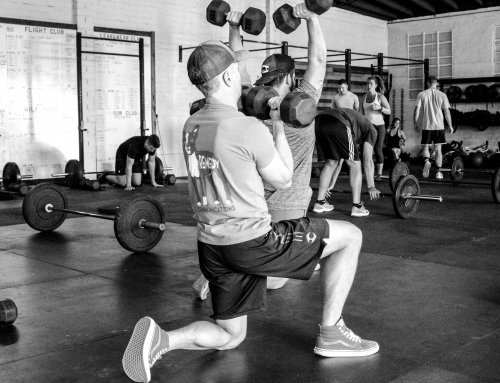 So, if you were to hop into heavy back squats on day one, sure your muscles would adapt. However, your tendons and ligaments would be seriously overloaded. Think about a bridge with too many people on it. They won’t hold up under loading that never addresses their development. You have to give them at least 4 weeks to develop, preferably 8 – 12 weeks before you start seriously loading them. 2. 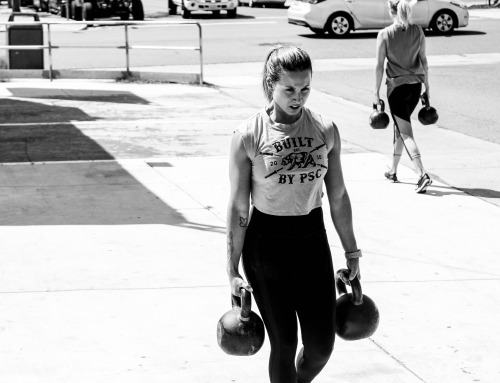 General Strength – There is general strength and there is specific strength. 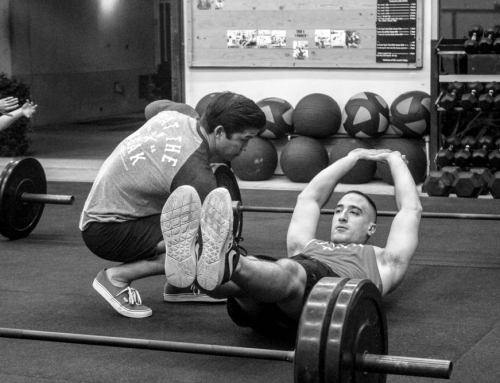 We don’t start building specific strength until after Phase 1, and during it is where we build all of your general loading and moving abilities. We start prepping the spine to be able to handle load. It’s like unfolding an air mattress before trying to inflate it. 3. 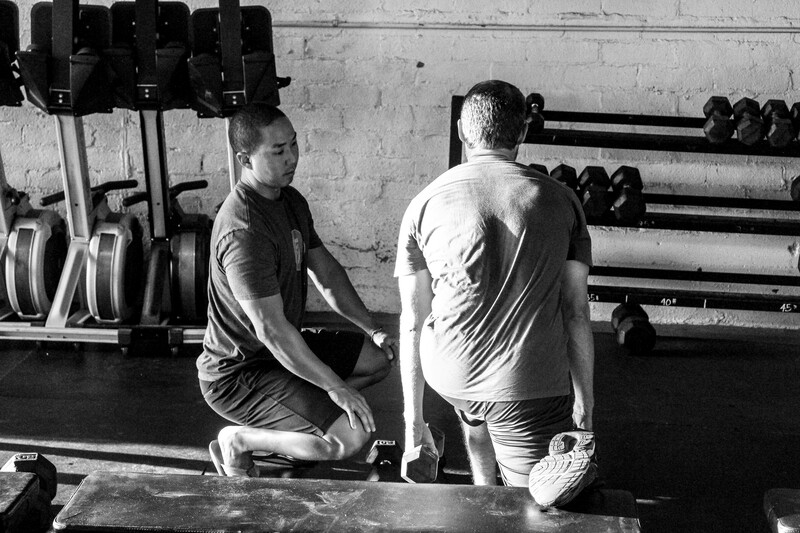 Biomechanical Efficiency – Common problem areas for new trainees are often ankle mobility on squats, and thoracic mobility on anything overhead. We must give people time for these joints to move under light loading and develop. Think of it as taking five or six test runs of a recipe before you roll it out at your restaurant. You want to get the movement right before really expressing it. 4. Conditioning – Before you can go short and fast, you need to be able to go long and slow (TWSS). Your body stores all of it’s energy for workouts (ATP, glycogen) in the muscle, and some in the liver. With better developed muscles, we have more capacity to store energy for our workouts. 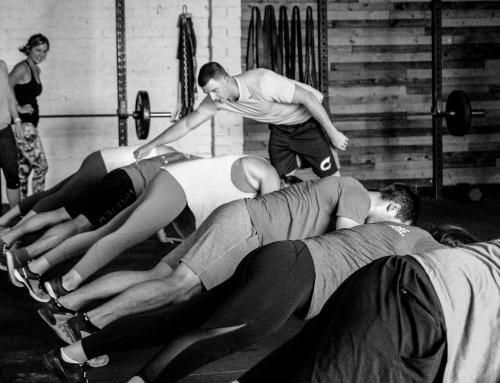 If we just hop right into high intensity, we will burn out instantly, and our time in the workout will not be long or challenging enough to drive any sort of adaptation. Take your time and build up to intensity. While these four fall mostly under muscle and soft tissue, there are also very important central nervous system components at play. Neuromuscular efficiency has come up on this blog frequently over the last seven years. It’s a concept that is very important to understand, because without it, you have no clue why your body is adapting and getting stronger. The common thought is that muscle size creates strength. Only fractionally true. The main driver of your strength ability is how well your brain can talk to your muscles to create movement. Specifically, in the following areas. 1. Motor Learning – You know that six year old laptop you have that takes forever to do things? That’s a beginner when it comes to complex movement pattern in the gym. Motor learning is the first form of your brain talking to your muscles, and it’s mapping out how to move. Imagine your body trying to learn how to move while under heavy load. That’s like trying to edit a home movie, while Spotify is on, while gaming. Too many tasks for it to think about it, so it crashes. Only, you can’t CTRL+ALT+DEL your body. 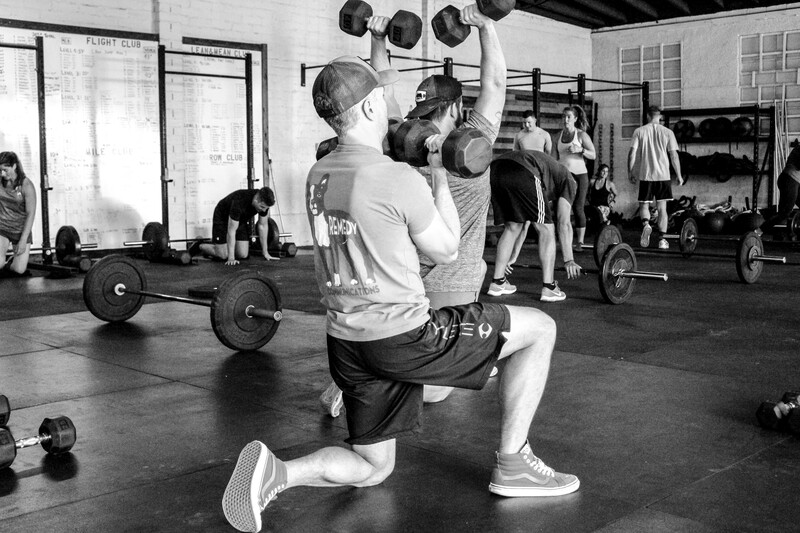 After a few weeks of focused development on base level squatting, hinging, pushing, and pulling, you have upgraded your hard drive and your operating system is much faster, and much more efficient at handling more complex tasks. 2. 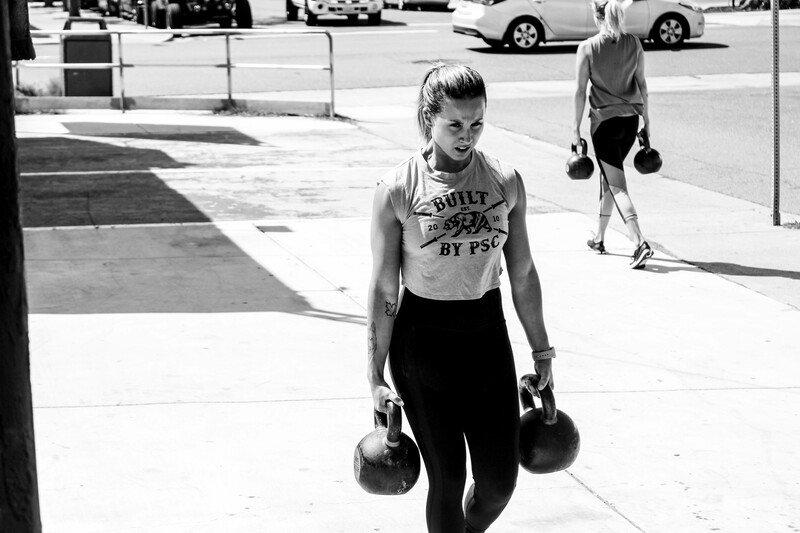 Dis-inhibition – When you first start weight training, your body has no idea what’s going on. It’s feeling stimulus you’ve never given it, so it identifies it as a threat and deploys all sorts of disinhibitory mechanisms so that you don’t hurt yourself. It’s your body’s way of slamming on the brakes and making sure you don’t go too heavy, too soon. It’s telling you, “Hey, pal. We haven’t quite learned what’s happening here. 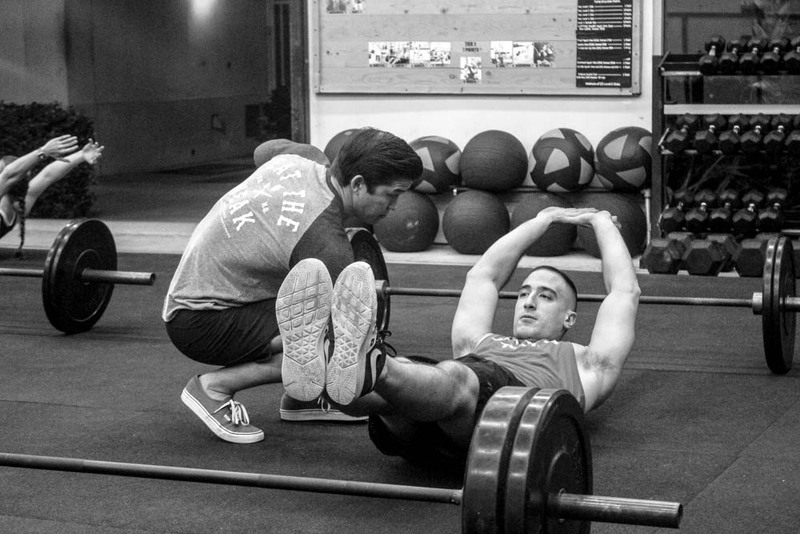 Slow down.” These include Golgi Tendon Organs, Renshaw Cells, and the antagonist muscle group in a movement (for example, your triceps is the antagonist in a bicep curl and acts sort of like the brakes in the movement). The specific are less important than the concept, that by easing your way into loaded movement, you gradually bring down these mechanisms. 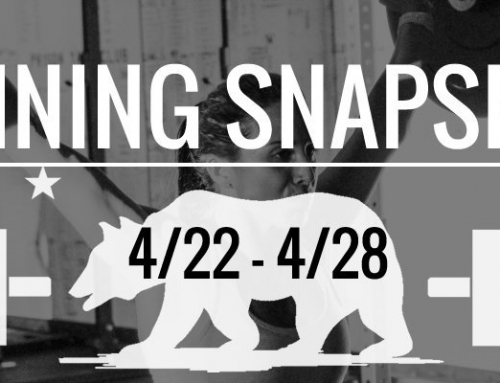 There’s a lot going on with fitness. More than we tend to give credit, so while I don’t care if you ever really learn or understand why it it matters, I do want you to understand and respect that process. Not for us, but for yourself, your health, and your progress. For the full Behind the Whiteboard series, go here.